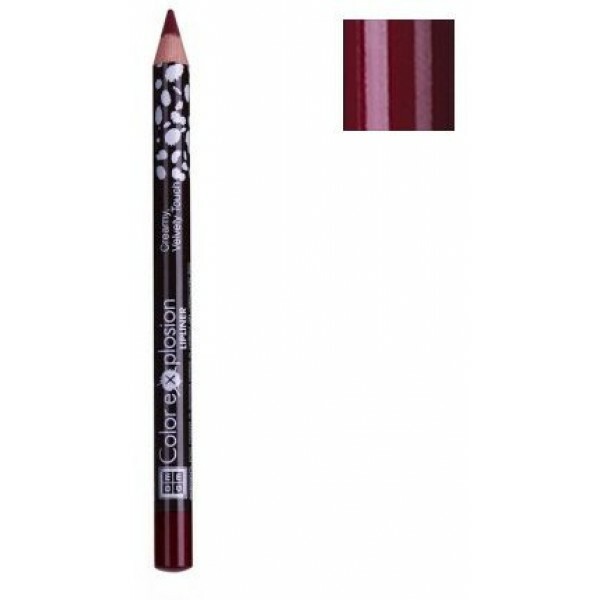 Dmgm Color Explosion Lipliner 09 Maroon Fever (Cosmetics)WHY YOU'LL LOVE ITIntense wear, high coverage. Ideal to smoothly contour the lips. Jojoba oil and bees wax provides perfect wear and smooth glide. Dermatologically tested. FOR BEST RESULTSOutline your lips, and then fill in lipstick with a brush. For a more matte effect, Fill in the whole lip area with the Color Explosion Lipliner, and then blend with a brush. Ideal for making thin lips look fuller, or for minimizing lips that are too full.